Lot 13: Greek Italy. Northern Apulia, Arpi. 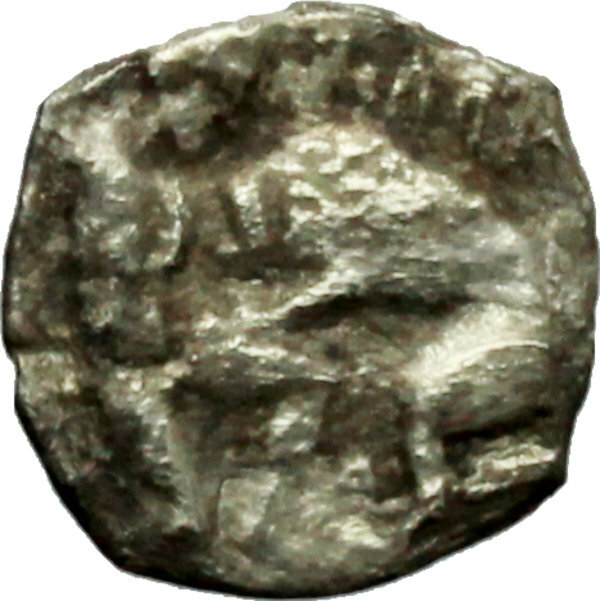 AR Diobol, c. 325-275 BC. 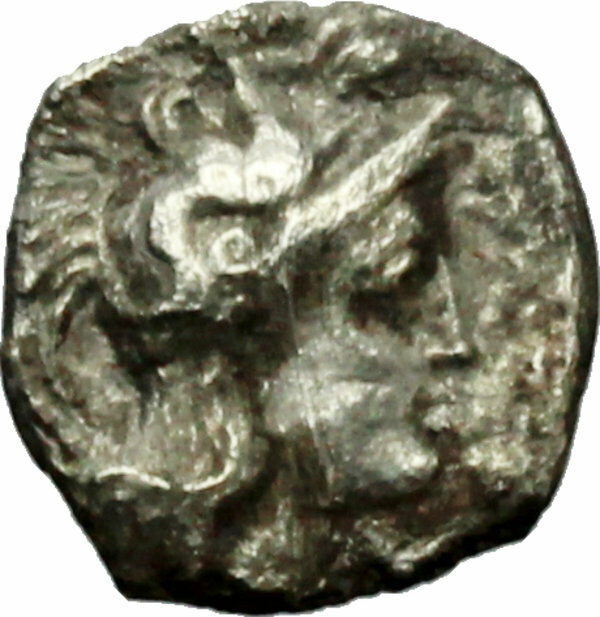 D/ Head of Athena right, wearing Attic helmet. R/ Herakles right, with club, fighting lion; above, traces of ethnic APΠA; below, Δ. HN Italy 637. AR. g. 0.94 mm. 12.00 R. Rare. Lightly toned. VF.